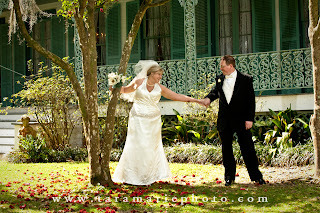 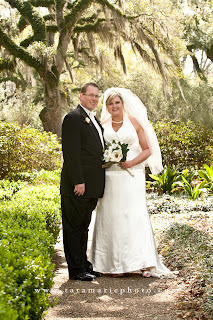 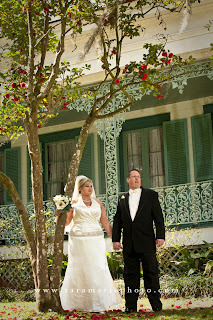 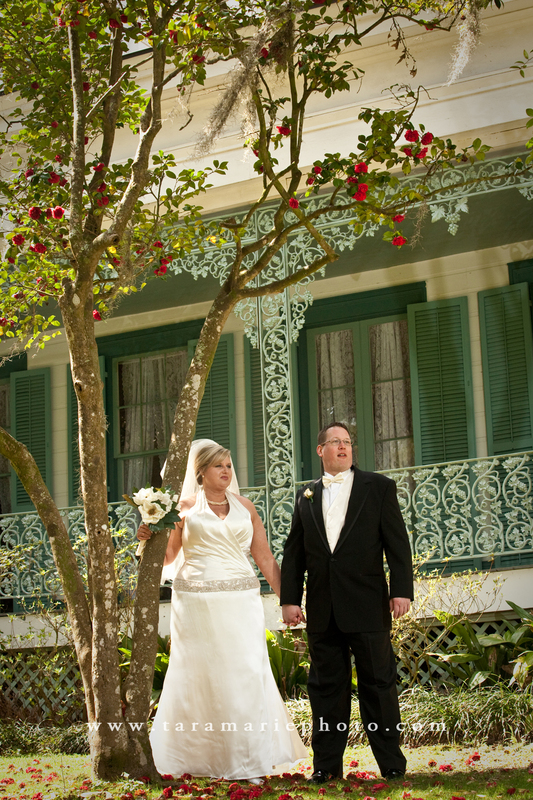 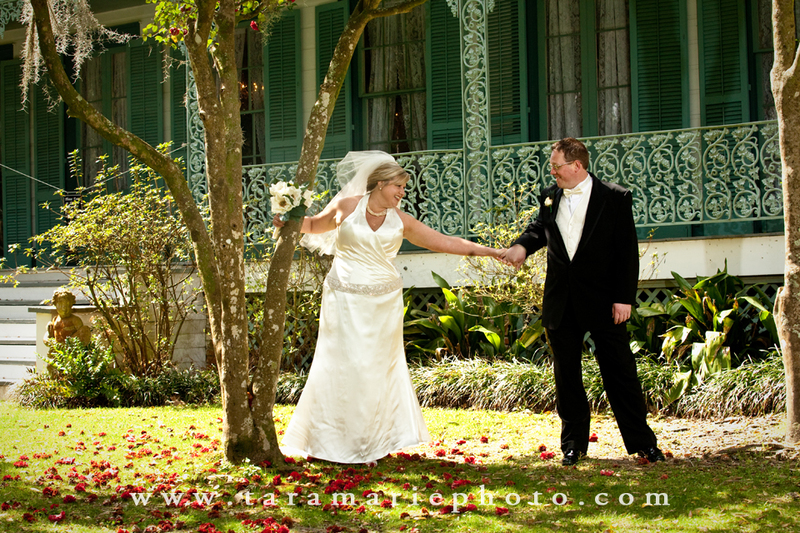 Melanie Doughty & Cam McDole tied the knot at the Myrtles Plantation in St. Francisville, LA, on March 6th, 2011 (which happened to be two days after my 5 year anniversary, in the same town!). 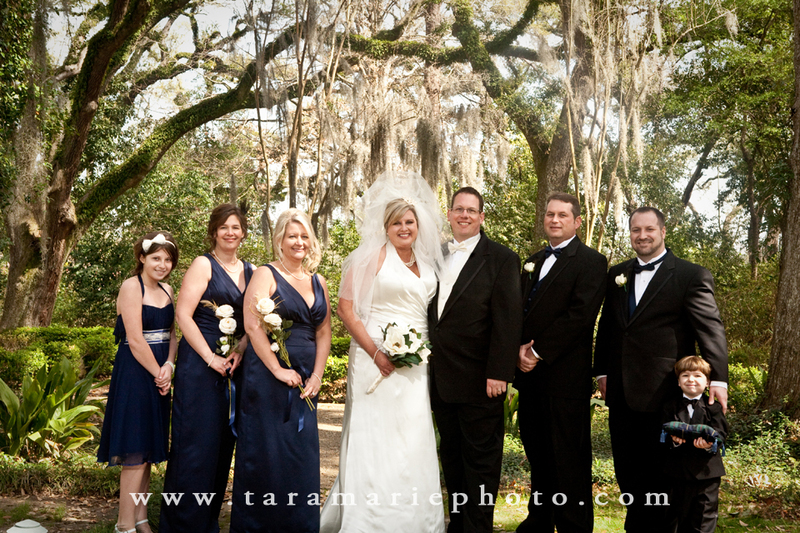 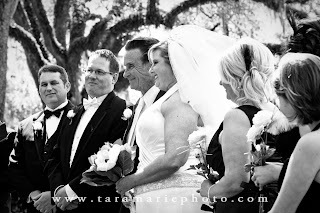 The Kansas City couple had a destination wedding with a small group of close friends on the front lawn of the Myrtles, under the beautiful oak trees that St. Francisville is known for. 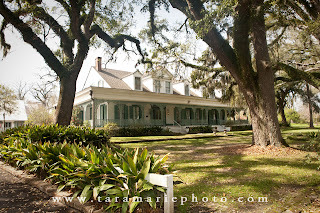 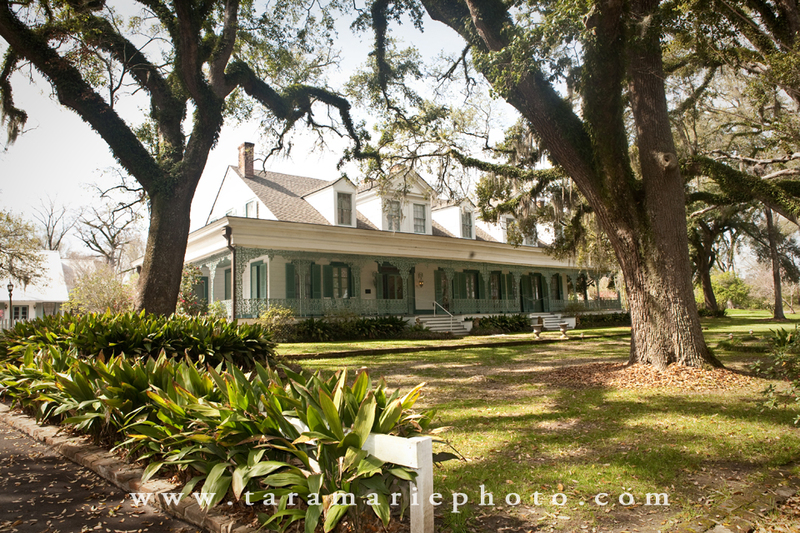 They then had a cajun lunch at the tasty Carriage House restaurant that is on the grounds of the Myrtles with friends and family. 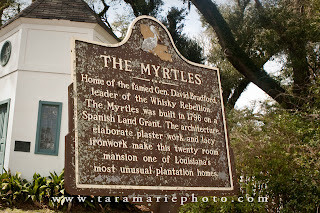 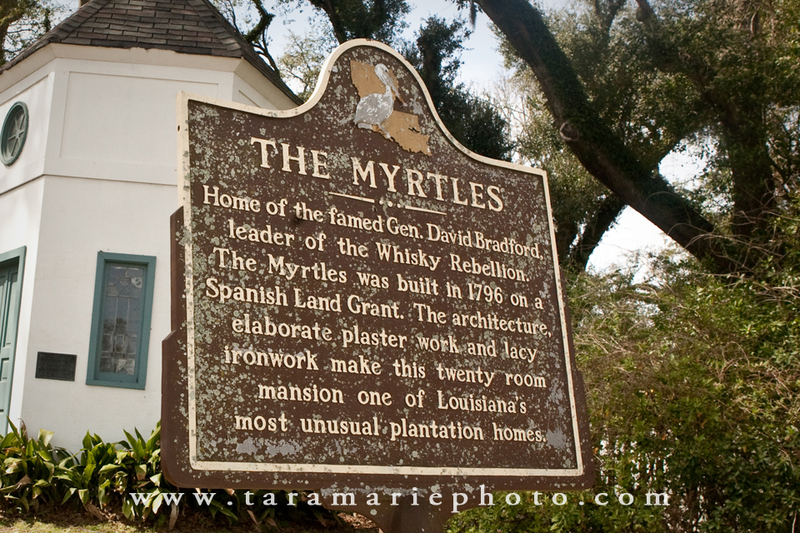 The Myrtles is most known for being "one of America's most haunted haunted homes," but many people overlook the actual beauty of the house's architecture, as well as the beautiful grounds that are open for people to walk around and enjoy. 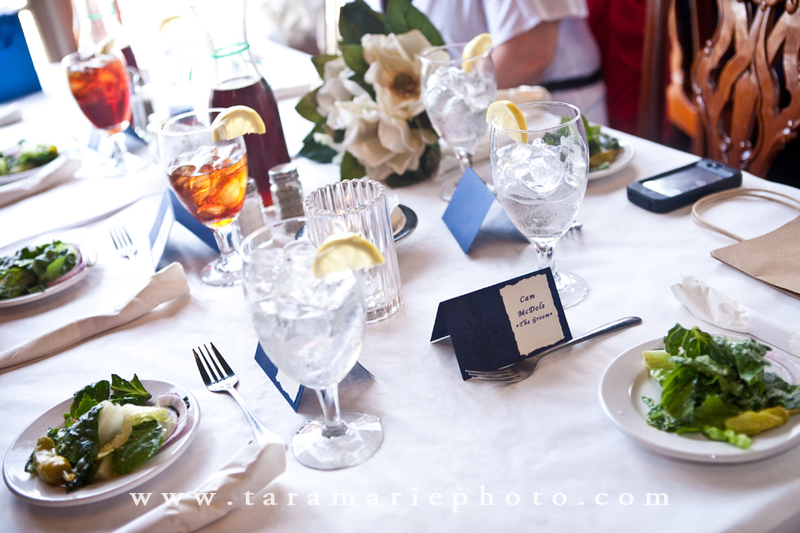 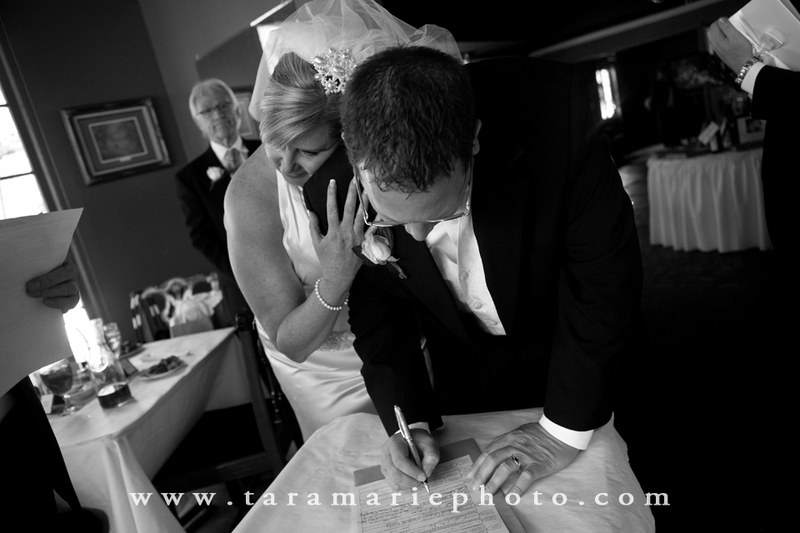 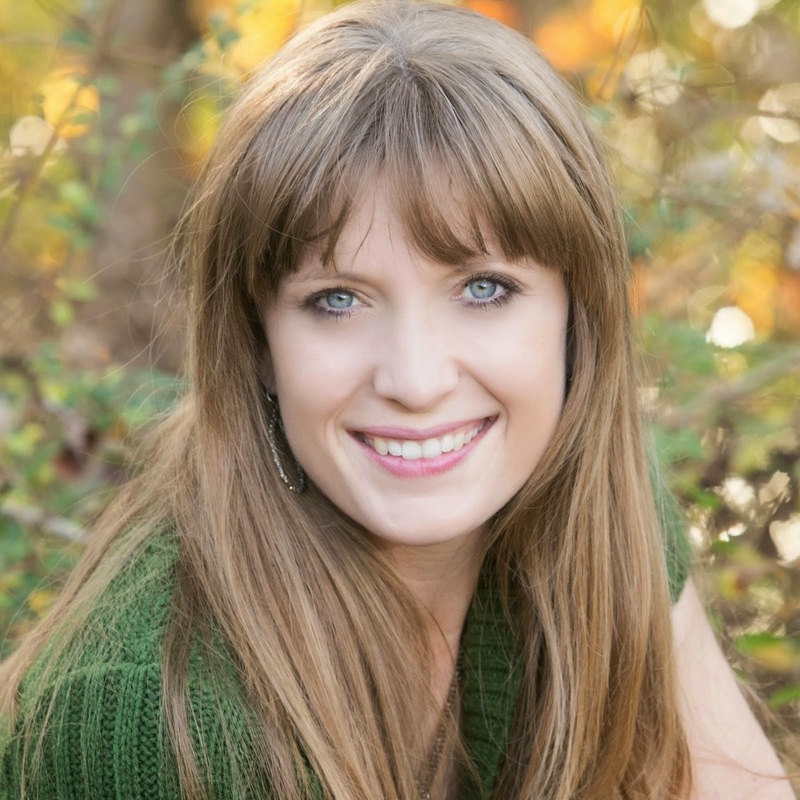 It's a great location for small weddings like Melanie & Cam's wedding, rehearsal dinners, and also a nice place for portraits.